THE MAYBELLINE STORY : Maybelline Story excerpt with pictures of Carole Lombard, Fred MacMurray and Eleanor Fisher. 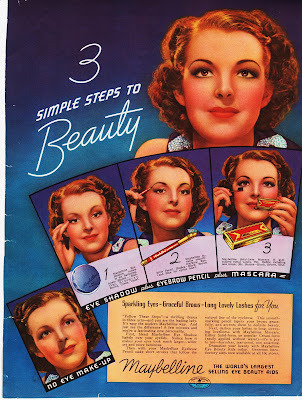 Maybelline Story excerpt with pictures of Carole Lombard, Fred MacMurray and Eleanor Fisher. Excerpt from The Maybelline Story and the Spirited Family Dynasty Behind It. BILL WANTS TOM LYLE TO INTRODUCE HIM TO MISS TYPICAL AMERICA. Tom Lyle continued to take Bill with him when they visited actress Hedy Lamarr, Joan Crawford and Carole Lombard, but nothing was more exciting for him than meeting the newly crowned "Miss Typical America, Eleanor Fisher," who won a chance to appear with Carole Lombard in her final film at Paramount "True Confession." Taken from the top selling magazine "True Confessions," that held the contest that Eleanor Fisher won. The Magazine was a top selling magazine for teenage girls and it struck a deal with Paramount and Maybelline to do a sweeping marketing campaign to bring in a larger audience of youth. 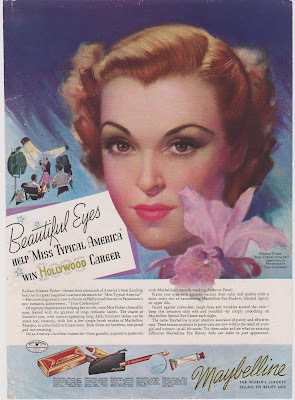 Paramount gave Eleanor a small part in their film staring Lombard and Fred MacMurray, while Maybelline splashed full page color pictures of her in magazines across the country saying Eleanor Fisher had been chosen from thousands of America’s most dazzling beauties in a great magazine’s nationwide search for ‘Miss typical America!" The ad continued, saying "of supreme importance in helping her to win, were Miss Fisher’s beautiful eyes, framed with the glamour of long, romantic lashes. The charm of beautiful eyes, with natural-appearing long, dark, luxuriant lashes can be yours too, instantly, with but a few simple brush strokes of Maybelline Mascara." The Ad, combined with the film and True Confessions magazine audience expanded Maybellines scope and increased their teenage market to a new level. It was a win win for everyone and young Bill now fourteen, was introduced to one of the many beauties who would usher him into the "the girl-crazy" part of his life. 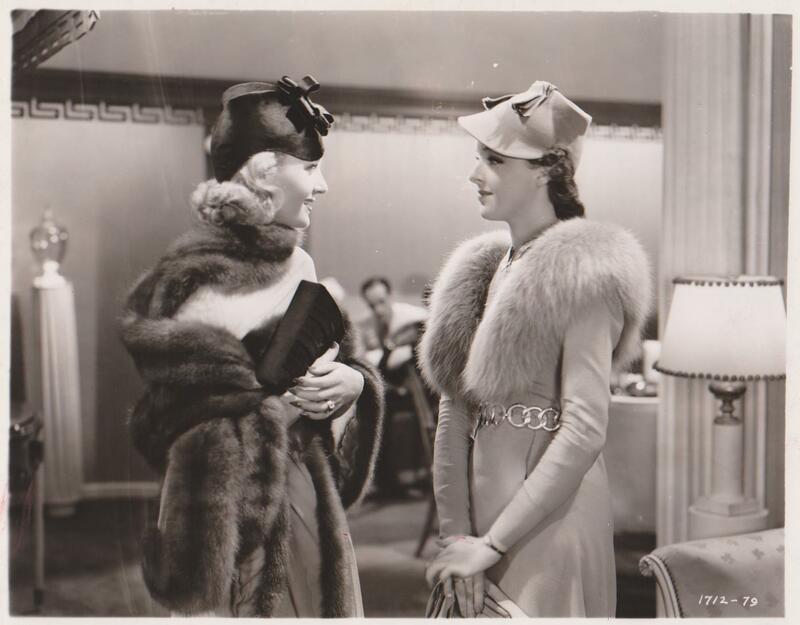 Carole Lombard and Eleanor Fisher, in True Confessions. Bill begged Tom Lyle to get him car for his fifteenth Birthday, so he'd be popular at school with all the guys and especially the girls. Tom Lyle told him he’d think about it. "I promise I’ll help mom do errands around town," he said, trying to convince his uncle to see it from his perspective. Did Tom Lyle break down and get his nephew a car? You can scroll down to earlier posts to find out - or you can read The Maybelline Story and get the whole scoop.